Britain’s ownership of the Parthenon Sculptures has caused controversy since they were first brought to London in the early 1800s. Keen to keep the Greeks onside, the debate became highly charged during the Second World War. 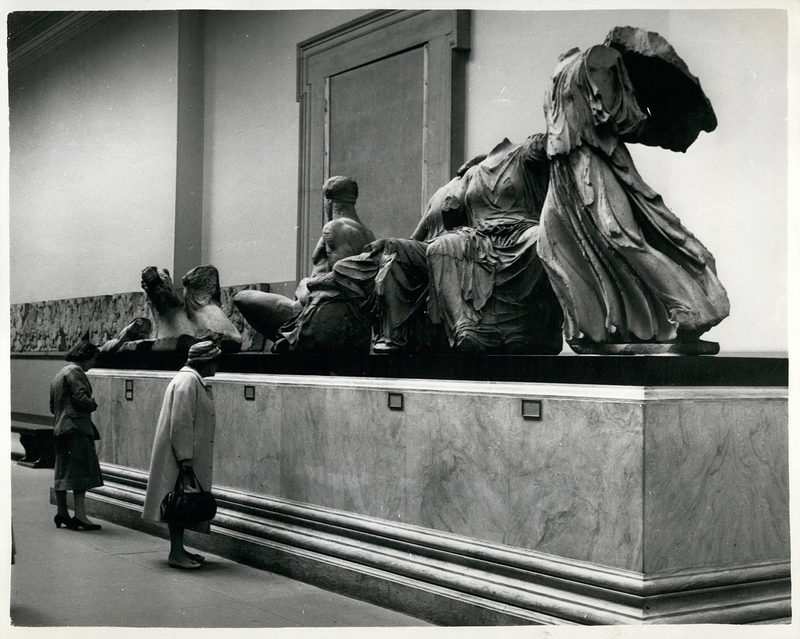 The Elgin Marbles on display at the British Museum, 1961. Since they were first ‘acquired’ in 1816, Britain has never seriously considered returning the sculptures collectively known as the ‘Elgin Marbles’ to their place of origin. Successive governments have argued that they are better preserved and more accessible in the British Museum, their current home; that their return would constitute a precedent to be regretted later; or, especially in the past, that the Greeks were unable to preserve their heritage and that Athens offered less security than the capital of a more stable power. Such rhetoric has been employed, with almost clockwork regularity, since about 1890 – ‘the question has been reopened on an average of every five years’, wrote William St Clair, author of Lord Elgin and the Marbles in 1967. In September 2014, the Greek government embarked upon an effort to repatriate the Marbles by legal means, entrusting the preparation of its case to international lawyer Amal Alamuddin-Clooney. This high profile appointment proved fairly short-lived as, by May 2015, a new cabinet decided not to press the matter in court. Not only the high fees involved but also uncertainty over the outcome played a part in this decision. An adverse res judicata could make it all but impossible to pursue the matter further. Thus, Athens stuck to its record of seeking to reclaim the artefacts through diplomatic and political means. The Marbles were removed from Athens and shipped to England on the initiative of Thomas Bruce, 7th Earl of Elgin, who served as British ambassador to the Ottoman Empire between 1799 and 1803. At first, they were publicly exhibited in a private house on Park Lane. They attracted the interest of various potential buyers, Napoleon among them. At the invitation of the trustees of the British Museum, however, Lord Elgin chose to offer them to the British government in return for a reimbursement high enough to meet his current debt. In June 1816 a Select Committee of the House of Commons found that the Marbles had been ‘honourably and meritoriously acquired’ and would greatly increase the artistic wealth of the nation. The Committee set the price at £35,000, considerably less than the £74,000 which Elgin’s requested for his expenses. The House carried the vote for the purchase and a subsequent Act of Parliament passed the collection ‘in perpetuity’ to the trustees of the British Museum. 'The Elgin Marbles! 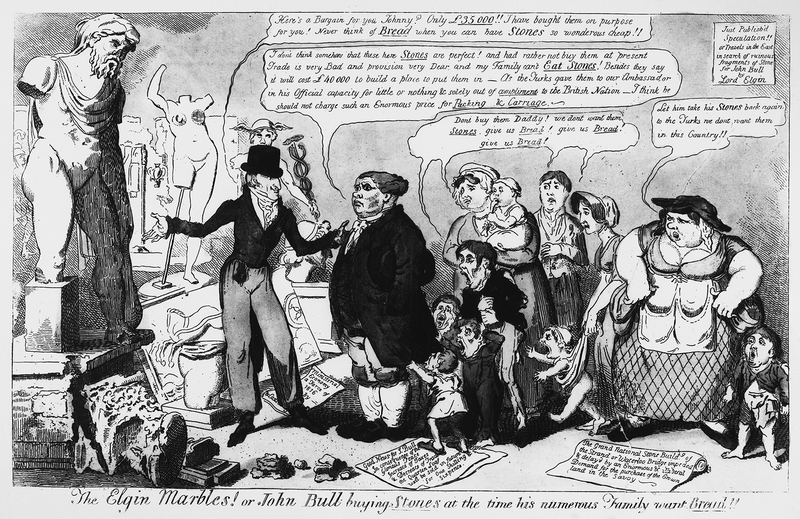 or John Bull buying Stones at the time his numerous Family want Bread!! ', George Cruikshank, 1816. The first crack in the domestic consensus on the retention of the Marbles in Britain surfaced as early as the parliamentary debate on their purchase. Hugh Hammersley, MP for Helston, regretted that the government had not refrained from what he described as an ‘act of spoliation’. He then urged the Commons to try and ‘wipe off the stain’ through an amendment to the effect that ‘Great Britain holds these marbles only in trust till they are demanded by the present, or any future, possessors of the city of Athens; and upon such demand, engages … to restore them’. Meanwhile, they ought to be ‘carefully preserved in the British Museum’. As William St Clair noted, ‘no one took Hammersley’s proposal seriously’. All this took place before the Greeks revolted against the Ottomans and, with more than a little help from Britain and other powers, eventually set up their own state at the southern tip of the Balkan Peninsula. In 1834, the Bavarian regency, which assisted Greece’s first king Otto, chose the modest settlement of Athens as the kingdom’s new capital. It was a choice inspired by the city’s glorious past and its visible remnants, among which the Parthenon and the Acropolis were widely admired as symbols of western civilisation. It was also a move that would help frame the subsequent discussion of the Marbles question in highly sentimental terms. Echoing Hammersley’s indictment, Friedrich von Suchow, a Prussian officer and poet who had joined Otto’s retinue in Greece, noted in a pamphlet that he published in 1835: ‘The Manes of ancient Greeks are as if offended by Lord Elgin’s spoliation of art, and blessedness will not smile on new-born Hellas ere they have been atoned for and their sculptures shine again at the front of the holy temple’. During the next century or so, Greek officials and pro-Greek circles in Britain and elsewhere in the ‘civilised world’ repeatedly asked that the Marbles be restored to their country of origin. As St Clair notes, whenever Greece came to the public’s attention, the proponents of the Marbles’ return seized the opportunity to raise the matter in the British press. Such occasions included the centenary of Lord Byron’s death (1924), the rebuilding of the north colonnade of the Parthenon (1926), the controversial ‘cleaning’ of the Marbles at the British Museum (1937-38) and Greece’s entry into the Second World War. It was this latter event that added a new, equally sentimental, ingredient to the controversy. 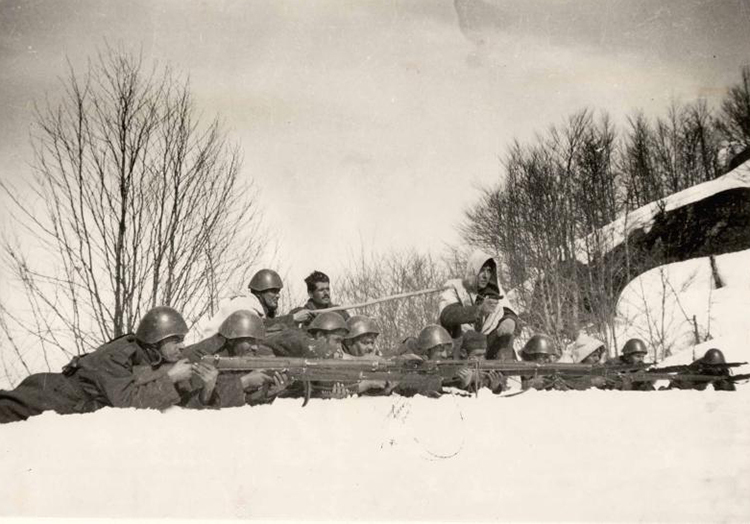 When Mussolini’s army invaded Greece from Italian-held Albania on 28 October 1940, Britain and its empire stood virtually alone in the war. Within a month, the Greeks had pushed the invaders back, deep into Albania. Still reeling from defeat in France and subjected to the Blitz, the British public could at last draw some optimism from this first Axis reversal, soon to be coupled with the rout of Italian forces in Egypt and Libya. Keeping Greece in the war and on its side became a major objective of British policy. Winston Churchill would have liked to turn the war in Albania into a major diversion against both Italy and Germany. Yet the scarcity of British resources would not permit the dispatch of anything more than a token force. The Greek dictator Ioannis Metaxas refused to contemplate this for fear of precipitating a German attack. Thus, for several months, British support for the Greek war effort was limited to modest supplies and, more importantly, the action of the RAF and Royal Navy against the common Italian foe. It seems that the idea of British concessions to Greece, as an enticement for its commitment to fight, was not officially discussed – and nor did the Greeks advance any claim – until after the German invasion of Greece, in April 1941. It was only reasonable to expect that the country would be rewarded at the expense of its enemies, primarily Italy. Britain also possessed two things to which Greek nationalists had long laid claim. One was the island of Cyprus with its majority Greek population; the other was the Elgin Marbles. The Marbles question was raised in the correspondence column of The Times by Henry Hamilton Fyfe, author and former newspaper editor, on 12 December 1940. By then, the artefacts in question had been removed from the British Museum and were stored in a tunnel of the disused Aldwych tube station. Fyfe proposed a pledge by the prime minister to return the Marbles at the end of the war. He envisaged this not only as tangible proof of British ‘admiration and gratitude’ to their Greek ally, but also ‘as an intimation to the world that we have no wish to keep anything which is not really ours’. By early January 1941, nine more letters were published. Two unreservedly supported Fyfe’s proposal, including one by the 11th Lord Belhaven and Stenton, whose ancestor, William Richard Hamilton, played an important role as Elgin’s agent in the ‘difficult transfer’ of the Marbles to Britain. The Scottish peer even suggested that Britain make it a ‘war aim’: the return to Greece ‘of the many glorious sculptures’ which the Romans had carried off to Italy in antiquity. Two letters, including one by sculptor Charles Wheeler, fellow of the Royal Academy, expressed disagreement, mainly on grounds of safety, accessibility to scholars and the general public and the record of the British Museum as ‘a good custodian’. This latter claim was left unchallenged by other correspondents, surprisingly so considering the recent controversy over the scraping to which the Marbles had been subjected in order to restore their assumed ‘whiteness’. Edwyn Bevan, the British philosopher and historian of Hellenistic antiquity, proposed a third option: to keep the Parthenon fragments but return the Caryatid, one of six sculpted female figures supporting the Erechtheum temple on the Acropolis. His reasoning was purely aesthetic. Owing to Elgin’s removal of the original and its replacement by a cement replica, the monument appeared ‘spoilt in the same way in which a row of teeth is spoilt by one discoloured tooth’ (an argument which Labour Party leader Neil Kinnock would repeat after a visit to Athens in early 1984). 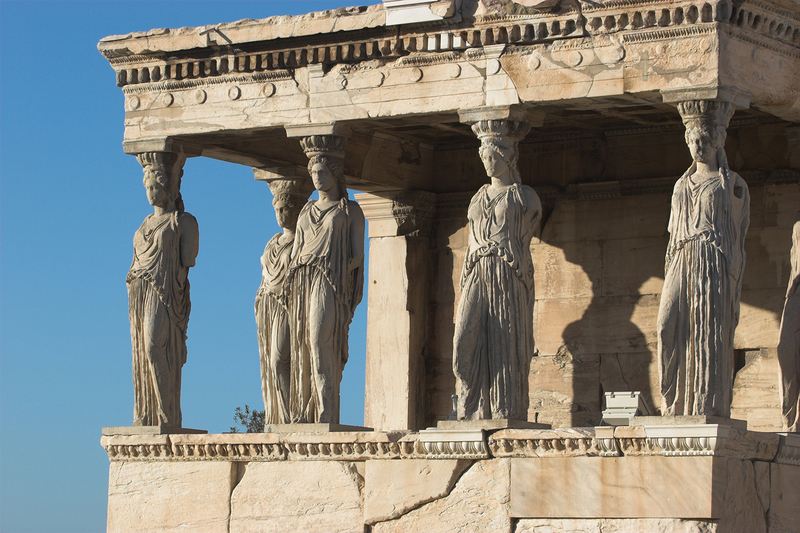 Writing in support of this idea, Claud Russell, a retired diplomat with some experience of Greece, argued that the return of the Caryatid should ‘be effected on its merits and in no sense … as a “reward” to the Greeks’. In his view, there should be no connection ‘between a gift of old stonework and a brave people’s defence of their land and liberty’. Finally, art historian Maurice W. Brockwell cited examples of works of art being returned to their place of origin after the Great War, though he also doubted the wisdom of ‘embarking on the questionable and hazardous redistribution or reshuffling of national treasures’. Amid such discussion – and prompted by her ‘English and Greek friends’ – Thelma Cazalet-Keir, Conservative MP for East Islington, raised the issue in the Commons. Just before the Christmas recess of 1940, she tabled a Parliamentary Question, asking the prime minister whether he intended to ‘introduce legislation’ to enable the return of the Marbles after the war ‘as some recognition of the Greeks’ magnificent stand for civilisation’. Being the intermediary between the British Museum and Parliament, the Treasury undertook to prepare the government’s reply. As a first step, it sought the ‘observations’ of the British Museum. The latter’s memorandum stressed ‘the part taken by Parliament in [the Marbles’] acquisition for the nation’. Thus, new legislation would be necessary if they were ever to be relinquished. The major argument against such a move was that, by recognising the ‘preposterous’ principle ‘that works of art are tied to their place of origin’, the Marbles return would set ‘a most awkward and dangerous precedent’ – an argument that is still used today. This view was expressed in a five-page minute composed by W.L.C. Knight, the official of the Greek desk at the Foreign Office. Although the scenario of returning the Marbles was fully presented, the arguments in these documents were clearly balanced in favour of retention, with the additional remark that even a concession might offend Greek pride if it was framed in terms as patronizing as those of the Times correspondence and Cazalet’s Parliamentary Question. As the minute made its way through the Foreign Office hierarchy, only one official openly supported the return of the Marbles, partly as an antidote to an anticipated Greek claim on Cyprus. When, on 15 January 1941, the minute reached the desk of the Foreign Secretary, Anthony Eden, the prevailing view was that the current discussion served no useful purpose and a non-committal reply was in order. In its recommendation to the Treasury, however, the Foreign Office left the door open for ‘careful and sympathetic consideration’ of the question after the war. When the time for answering Cazalet’s Question in the Commons came, even the hint of a more forthcoming future disposition disappeared. Lord Privy Seal Clement Attlee simply stated that the government was ‘not prepared to introduce legislation for this purpose’. 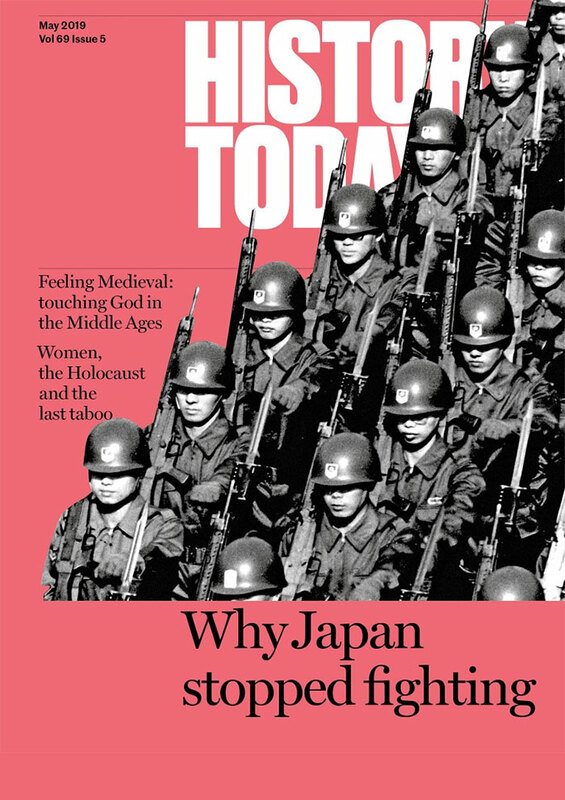 A year later, the issue resurfaced unexpectedly on the other side of the Atlantic. David L. Cohn, an American non-fiction writer and Democratic Party activist, proposed to the British ambassador in Washington, Lord Halifax, that ‘for the sake of the common cause’ the Elgin Marbles could be shipped to the United States ‘on a British warship at a convenient time’. Cohn suggested a statement by Churchill to the effect that ‘Great Britain has sent to the United States the most precious art object in the possession of the British people – the Elgin Marbles’, to be exhibited in the US for a fee, the proceeds going to the Greek war relief. Their transfer could then be coupled with a commitment to return the Marbles to their place of origin ‘as a symbol of the humane restoration of the world which Britain and her allies propose to make after the war’. In his cover letter to Eden, Halifax seemed to appreciate the potential for a publicity coup in Cohn’s idea. It could ‘stir the deeper emotions of the Americans’, he submitted, but Eden would have none of it. After almost two months he reminded his predecessor at the Foreign Office that the government had put an end to the discussion on the Marbles return at the time of the Greek-Italian war and was not inclined to reopen it. Their dispatch to America would not fail to ‘arouse a storm among the Greeks and those people in this country who feel that the Marbles should be restored to Greece’. Ironically, this is exactly what happened when, in December 2014, the British Museum permitted a statue belonging to the Marbles to go on display in the Hermitage Museum in St Petersburg. In 1942, a loan of this order was far removed from the British government’s intentions. He also pointed to the practical difficulties of the undertaking: there was the ‘obvious danger’ that the cargo ‘might be lost at sea’, whereas, ‘even if an appropriate ship could be made available’, its use for such a purpose in wartime was bound to arouse unfavourable comment on both sides of the Atlantic. I have not traced any further evidence of the Marbles question reaching government level until after the liberation of Greece in October 1944. Within two months, British troops were taking positions among the monuments on the Acropolis as part of their operation against the armed communist attempt to take control of Athens. What Knight had referred to as ‘the perennial question’ in Anglo-Greek relations would have to rest until more peaceful times permitted its reopening. This happened in the early 1980s, when the then Greek minister for Culture, actor Melina Mercouri campaigned prominently for the Marbles’ return. 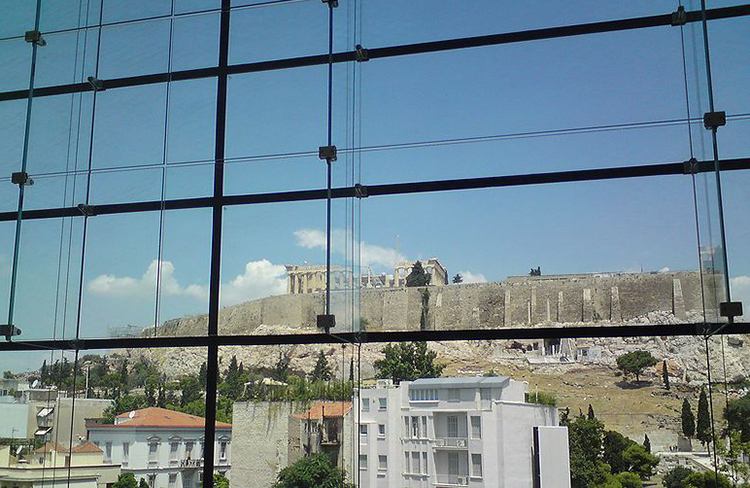 In 2007 the completion of the Acropolis Museum in Athens appeared to offset at least two counter-arguments, those of safe-keeping and accessibility: the rectangular cement core of its Parthenon Gallery is purposefully designed to receive the missing parts of the frieze. Ioannis D. Stefanidis is Professor in Diplomatic History at Aristotle University of Thessaloniki.